With more homeowners realizing the impact solar power can have on their lives and the communities around them, solar power is slowly becoming the new norm. Many people are excited to begin their solar journey, but are curious if they’re able to do it alone. This week we’re exploring different methods for DIY solar power, and whether or not it’s worth the time and investment. Your level of skill when it comes to DIY projects will determine your method of approached DIY solar power. It’s important to mention that DIY solar power never means constructing the panels yourself, no matter how badly you wanted to flex your DIY muscles. Using properly constructed panels ensures not only that they work efficiently, but also safely. Poorly-constructed panels can cause power outages, power leakages, or even fires. For the more involved DIY solar power, you’ll need to conduct plenty of research and consult experts. Step one is to make a few calculations regarding your power needs. How much power will you use? How long will your power run? Choose the right equipment to match your load calculations. Next, you’ll shop for equipment. Choosing the right battery is paramount for successful DIY solar power. Choosing your battery will be a tricky decision, as it’s crucial to choose one that can store the amount of energy you’ll be accessing at a later time. When deciding on solar panels, it’s important to consider the panels with the proper ratings. Finally, your charge controller and inverter are similar to the panels in the way that they come with certain ratings. Choose the ratings that make the most sense for you, as each rating is accompanied with specific functions and specialities. (You can find a more extensive list of ratings and how to select your materials here). Finally, once you’ve purchased and properly connected all of your different materials, you’ll need to begin the process integrating them. Before you set your panels where you’d like, you’ll need to create a stand for the panels, inverter, and battery. We recommend placing DIY panels on a stand in your yard, as roof placement can be dangerous and difficult without the proper expert equipment. By constructing simple wooden platforms, you can keep your equipment off the ground and secured in place. If you’re not ready for quite that level of DIY, there are other options available. 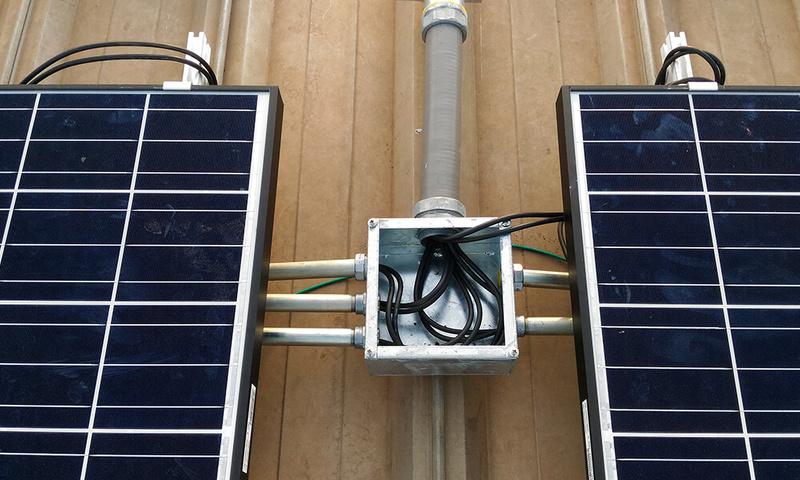 Rather than choosing all of your own equipment, there are solar power kits available for purchase that have already paired the correct materials together. Additionally, many homeowners who opt for a simplistic version of DIY solar panels hire professionals to install the equipment for them. This way they can rest easy knowing that the placement is correct and the panels won’t be damaged in the process. What are the pros and cons of DIY solar power? 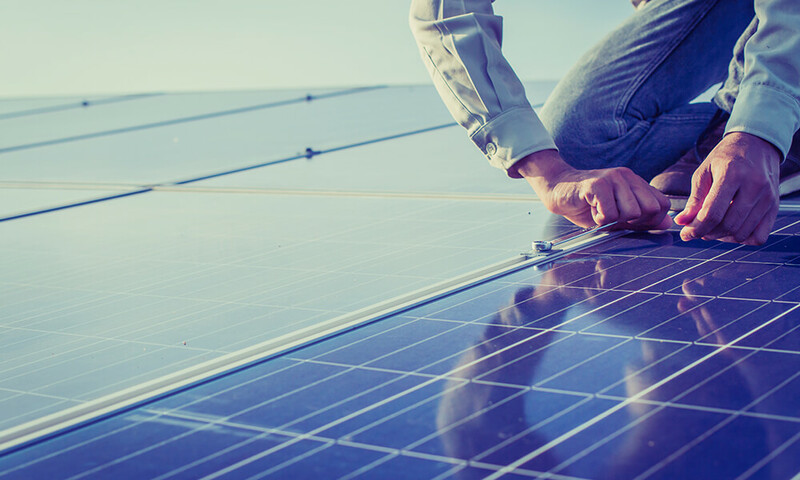 Ultimately, we wouldn’t recommend DIY solar to anyone unless they have extensive experience with installing PV panels or have technical training. Hiring professionals will save you time and take the pressure off your shoulders. You’ll be provided with more extensive and long lasting warranties, and higher rated equipment. If you or someone you know has dabbled with DIY solar power, we’d love to hear about your experience. If you’re not qualified for DIY solar power, that doesn’t mean you have to miss out. Call us here at J-Tech Solar today to get started on your solar journey!